To support Autism Awareness Month, Make Believe is FREE for the first week of April! Let your imagination run wild in Max & Ruby: Bunny Make Believe! Make Max a playful pirate or give Ruby a twirl in her tutu, and spend hours playing in your imagination! Visit playful locations and fill them with ladybugs, music, and rocket ships to create the picture perfect scene. Make sure to include all your favorite characters - Max, Ruby, Grandma - and more! Now it's your turn to make believe! 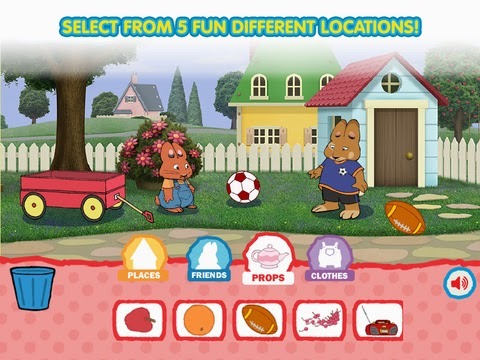 •Brand NEW game from Max & Ruby – the first in two years! 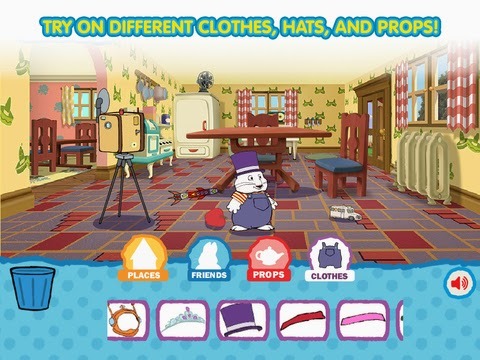 •Spend hours playing make believe with all your favorite Max & Ruby characters! •Create your very own scenes in 5 different locations! •Save your scenes and use them as wallpaper!